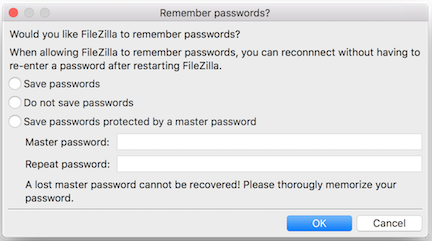 You should now see the FileZilla icon. Click and drag the icon to your Applications folder. The left pane of the window represents the directory structure for your Macintosh. 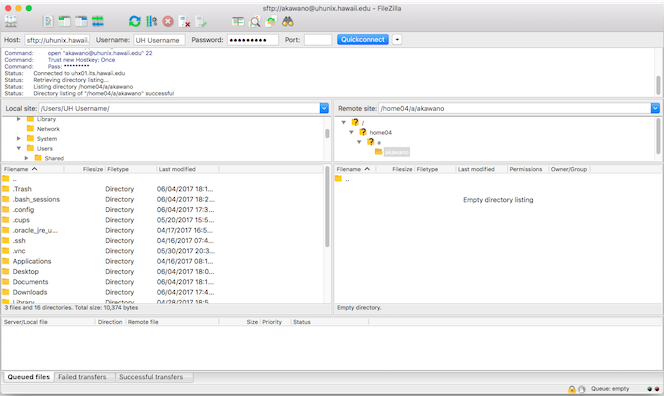 The right pane represents the directory structure of the remote computer. 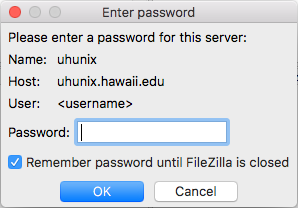 In this case, the remote computer is uhunix.hawaii.edu. To download a file, select the file in the right pane and drag them to the left pane. To upload a file, select the file from the left pane and drag them to the right pane. You may copy files to folders by dragging the files onto the folder. To select files not adjacent to each other, hold down the Command key and click on the name of the files. 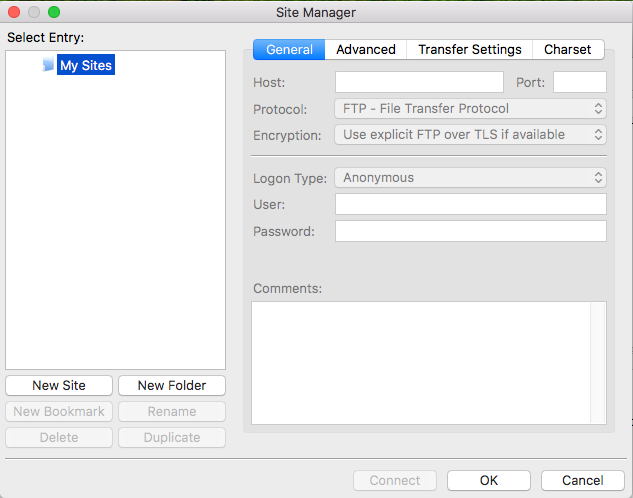 The Site Manager allows FileZilla client users to store information about their sFTP sites. 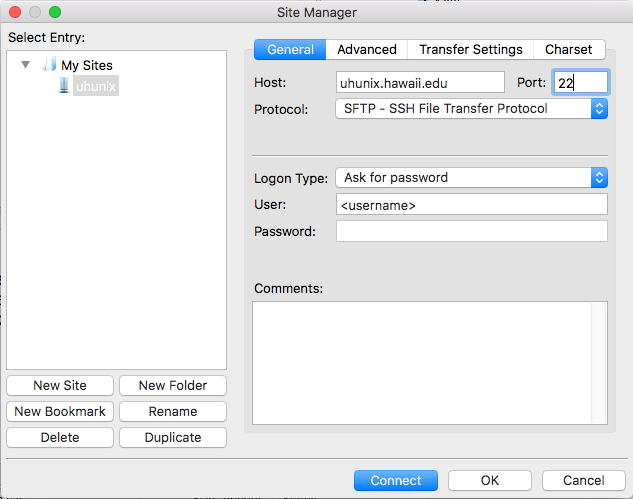 You can access the Site Manager under the File menu, or you can press Ctrl+S or Command+S. Name your site to differentiate if adding more than one host.